Welcome to the website of NFC GmbH Nettle Fibre Company (NFC)! Our main target products are fine, mechanical purified, raw elementary nettle- and hemp-fibres (no fibre bundles). Experienced farmers in Germany grow nettle and hemp to deliver the straw to us. The straw is mechanically decorticated in our multi-purpose-production. The natural or bleached, fitted fibres from renewable resources are deployed in the woven or non-woven applications. Our fine and elementary fibre flocs of highest quality apply to textile industries, home- or decoration areas as well as to high-quality technical usages. We will continue our basic research and development in the future to consequentially increase fibre yield and -quality. The textile application of fibre from the big stinging-nettle (Urtica dioica) dates back at least 3,000 years. In the 19th century there was a nettle manufactory in Leipzig, Germany. After World War II the natural fibres were replaced by lower priced cotton. In Europe only flax could hold its ground with larger cultivation areas – especially in Normandy and Belgium. In collaboration with some farmers, institutes (ATB = Leibniz-Institut für Agrartechnik und Bioökonomie e.V. ; FIBRE = Faserinstitut Bremen e.V., 3N = 3N Kompetenzzentrum Niedersachsen Netzwerk Nachwachsende Rohstoffe und Bioökonomie e.V. und IfP = Institut für Pflanzenkultur e.K.) and other companies the FNR project “Development of an Industrial Supply Chain from Stinging-Nettle-Seedlings to Nettle Fibre” (FKZ: 22033211 und FKZ: 22015616) hosted intensive government funded research. The target was to gain fine, elementary fibres from the new generation of a stinging-nettle with 20 % degree of fibre content. The projects have been completed on 12/31/2018. In preliminary tests we could proof that our chosen way to produce nettle fibres “Made in Germany” is generally the right approach. In small quantities we are capable to market nettle blended yarns with up to 70 % nettle content. In the non-woven area the first tearproof fleeces and minglings have been produced through needling respectively compression via water jet. In this area the development targets future usage in the bedding-area, accessories, outdoor-area and decorations. The demand for natural fibres is not only increasing in Germany and western Europe but also in the United States and Canada. So far, linen is mostly used in textiles based on natural fibres. Hemp-fibre-bundles, -yarn, or -textiles are imported almost solely from China. The demand for low priced natural fibres from renewable resources – like hemp – is increasing constantly. Many consumers want to purchase hemp-textiles “made in Germany or Europe”. Especially hemp garment or with hemp content from domestic origin started to increase the sales quantity tremendously. More then 20 years ago, legislation allowed to grow fibre-hemp in Germany. After a first hype and significantly increasing cultivated area with some 100 ha the disillusionment came. The hemp quality could be used only for technical qualities, especially in the automotive engineering and for insolation purposes. NFC participated in the FNR (“Fachagentur nachwachsende Rohstoffe” – responsible department within the German agricultural ministry) project “Growing of hemp (Cannabis sativa L.) as winter catch crop” and in addition to this started self-funded research activities to determine whether this hemp is good for textile applications. In cooperation with a farmer from North Rhine-Westphalia we mastered all hurdles. The NFC has established a second main pillar in addition to nettle. Today we can offer diverse fine hemp blended yarns for an interested market. The market trend to fair traded, ecological products aroused demand for hemp fibres that can be covered through sufficient cultivation area and production capacities with soundly developed technologies of fibre processing. The elementary hemp fibres are produced in the same mechanical production plant which was in addition optimized for nettle fibres. The coordination between agricultural and technological steps in the production of fine hemp fibres allows the textile industries to open up a renaissance of domestic natural fibres. This has been supported by three German and eight EU law amendments in 2017 which we initiated. Farmers are now allowed to seed listed sorts of hemp after June 30th as winter crop after having indicated this to the local authorities in time. NFC GmbH Nettle Fibre Company was founded in August 2011. Originally the purpose of the enterprise was solely the decortication of nettle straw in order to market nettle silky, breathable, elementary fibres (no fibre bundles) for the textile industry. First technical trials with different hemp sorts have been conducted preliminarily in 2010. A solid and complete fibre decortication and fibre cleaning procedure for most renewable plant resources has been researched and realized. 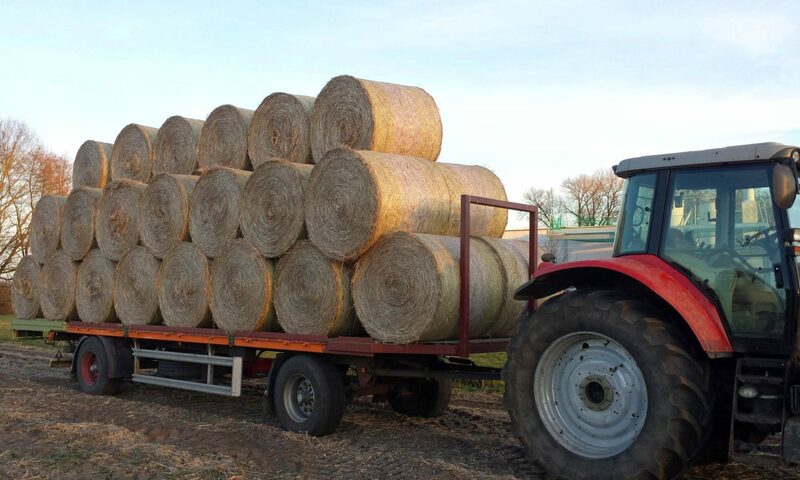 The purchasing of straw from renewable resources of experienced farmers from North Rhine-Westphalia, Lower Saxony, Bavaria, and Mecklenburg-West Pomerania (MV) in Germany is secured predominantly with contracts. The fibre processing machinery park is located in Groß Helle, MV, and serves for research work in pilot plant scale as well as small production plant with a capacity of approximatly 6,000 t/a hemp straw. We can card approx. 5,000 t/a raw fibres. In the novel multi-purpose-factory we can decorticate all important bast fibre plants (flax, hemp, stinging-nettle, oilseed-flax, kenaf, etc…) as well as ramie. The procedure is lean, consumes little energy and can be operated with only three employees per shift. Research activities to improve the procedure were finalized essentially in 2018 and allowed an enlargement of the production capacity for 2019. Our target is to optimize the processes to achieve the same price as for linen fibres. A replacement of cotton by nettle seems not feasable due to the large cost difference. The company’s research efforts were supported by LFI (State Funding Institute Mecklenburg-West Pomerania ), in scope of a network from the German Ministry of Agriculture and since 2016 also by the European Innovation Program EIP North Rhine-Westphalia. 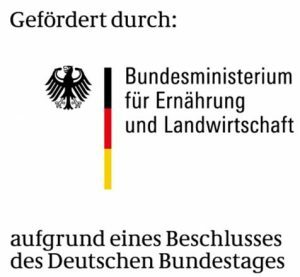 European Agriculture Fonds for the development of the rural area: Europe invests in the rural areas with involvement of the state of North Rhine-Westphalia. 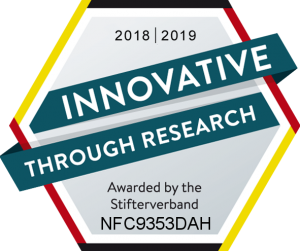 The “Stifterverband” honored NFC GmbH Nettle Fibre Company with its innovation and reasearch award. We have assigned the company HAVETEX (Website: www.havetex.de) with the distribution of natural fibre yarns. We honestly hope that one of our cooperation partners will soon achieve a spinning process of 100 % nettle- or hemp yarns from our fine elementary fibres. Manufacturing of our natural fibres does not need / utilize any pesticides and consumes only very little water. The principal „cradle to cradle“ is being lived as further products like shives (the small wooden parts), short fibres and other side products can be processed to top-quality useful products. For instance nonflammable wooden elements (doors, boards, coverings, furniture or construction material) have been experimentally created in cooperation with a very innovative enterprise. Please address your enquiries for hemp- and nettle blended yarns to our distribution partner HAVETEX (Website: www.havetex.de). If you are interested in our fibres, please contact us in writing. We ask for your understanding that we have to impose an extra charge for small quantities if you order sampling quantities below 50kg.